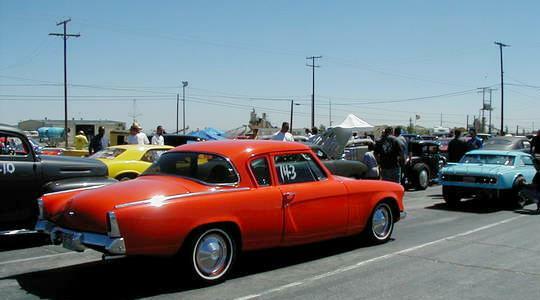 This 1954 Studebaker Champion Starlight Coupe belongs to Rich Kimmell of Sylmar, California. The major visual change between the 1953 and 1954 model was the addition of vertical teeth in the front grilles. The most significant mechanical change for 1954 was larger brakes. Otherwise, the two years are virtually indentical. 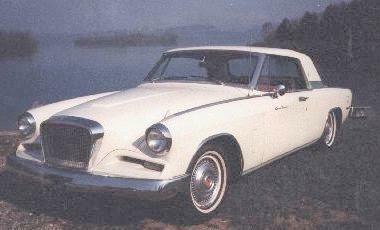 This design, which was the work of Robert Bourke of Raymond Loewy Associates, won numerous styling awards. 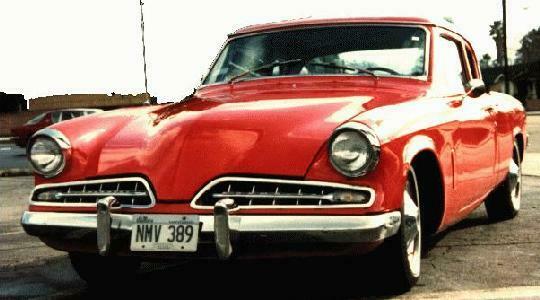 It is considered by some to be the best American car design of the 1950's. Rich's Champion is powered by a Chevy V8 with a GM 700R4 automatic transmission and Ford rear end and has various upgrades incuding 1964 Cruiser front brakes and dual master cylinder. 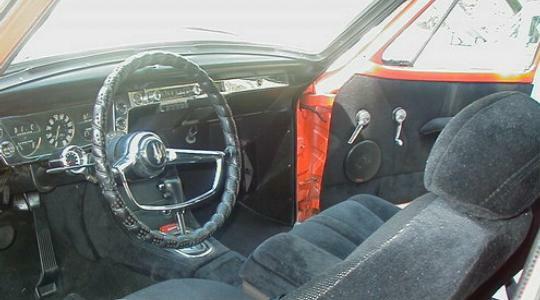 The interior features front bucket seats and a late model Studebaker steering wheel. 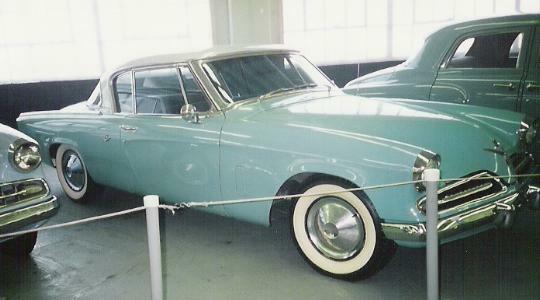 This picture is from my August 1994 road trip to the Studebaker National Museum. Comparison with the picture above shows the difference in the front grille between the 1953 and 1954 models. This is a Starliner Hardtop in that it has no center post. Starliners tend to rattle and shake but they sure look nice with the windows down. The Starlight with its thick center post is a stiffer and tighter car. The Starliner evolved into the Golden Hawk and the Starlight evolved into the Silver Hawk. The cold weather is coming so this picture seemed appropriate. It shows my 1964 Commander Special warming up on a wet winter day. When I bought this car, it had studded snow tires on the rear. I ran those for a while, but this picture was taken after they were replaced. My Commander was equipeed with the 259 V8 so it was realtively front heavy. I made it standard practice to carry a couple of sand bags in the trunk to help with rear wheel traction and for emergency use. I do recall that this car had an excellent heater.